Many people think of China as a united country with a single language; however, the situation is more interesting than that. Unusually China is unified by a single written script rather than a single spoken language. This is a rather strange situation because most languages are phonetic, it is not usually possible to speak the same written language in different ways. 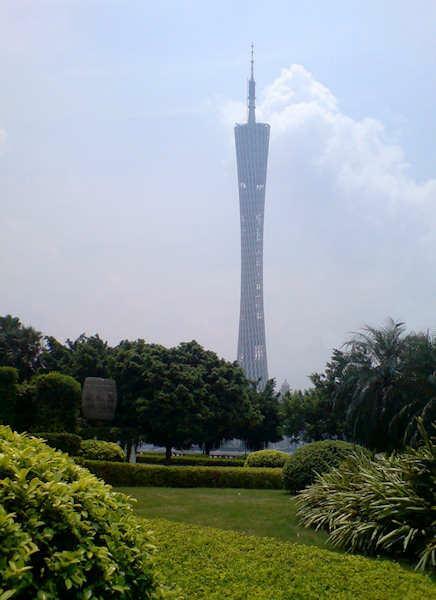 Guangzhou TV & Sightseeing Tower, seen from front entrance of Hongcheng Park, Ersha Island, Guangzhou, China. July 2010. Image by Kxx ➚ available under a Creative Commons license ➚. Chinese has a number of spoken languages, far beyond minor differences of accent and dialect. There are nine main groups of Chinese language and although 70% of Chinese can speak Mandarin Chinese this is not necessarily used for day-to-day speech. The modern languages are split up into: Northern dialect or mandarin or putonghua (Most of northern and central China); Wu (Jiangsu, Zhejiang); Xiang (Hunan); Gan (Jiangxi, Hubei); Northern Min (north Fujian); Southern Min (south Fujian; Taiwan; Guangdong); Yue or Cantonese (Guangdong, Guangxi) and Hakka or Kejia (Guangdong; Sichuan). One of the most familiar Chinese words that has entered the English language is the word ‘wok’ and this is the Cantonese word for ‘cooking pot’ rather than the mandarin pronunciation ‘guō’ for the same written character 锅. Quite a few other food related Cantonese words may also be familiar to you, including: Kumquat; Bok choy; Chop suey; Loquat; Lychee; Kowtow and Sampan. ‘Ketchup’ may also be of Cantonese origin, although some say it is Malaysian. One key feature of Cantonese is the number of tones used for vowel sounds, Cantonese has nine tones where Mandarin has only four. A Westerner usually finds it hard enough to master four tones, distinguishing and producing nine different tones is pretty impossible for anyone not brought up alongside Cantonese speakers. A phonetic spelling would need to use nine different tone marks to put over the vowels and this is not feasible and so romanized forms of Cantonese do not use tone marks; instead some representations use numbers after the vowel to indicate the tone number. A Mandarin speaker will take a long time to learn to speak Cantonese well as it has to be learned as if it were a new language. In some ways this is similar to comparing the Italian and Spanish languages, they both share common roots in Latin but have developed into quite different languages. Cantonese is spoken in southern China (Guangdong, Guangxi, Hong Kong and Macau); but because there has been widespread emigration from these provinces there are a surprisingly large number of Cantonese speakers worldwide. In 2007 there were an estimated 59 million native Cantonese speakers; which is the same number of speakers of Turkish or Italian. Historically Cantonese is considered to be based on the Tang dynasty pronunciation that was used everywhere in China at that time and so may have older roots than Mandarin Chinese. 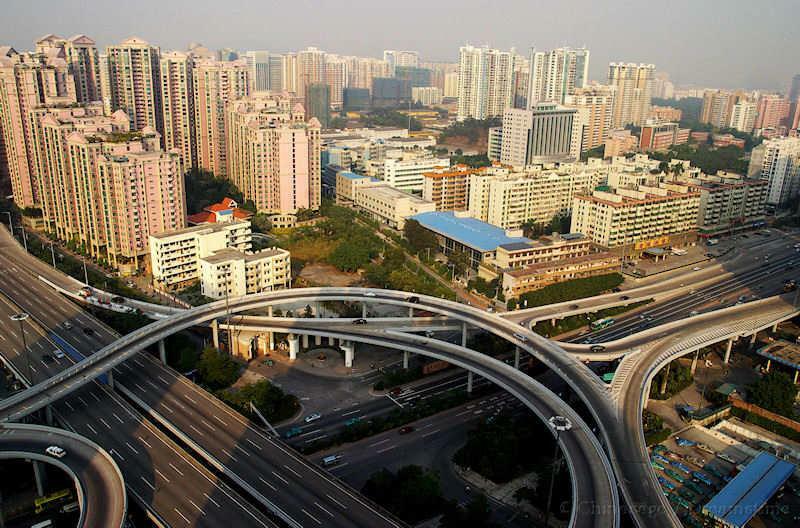 Cantonese people consider themselves ‘people of Tang’ contrasting to the ‘people of Han’ who live in northern China. Common phrases sound very different, the Mandarin for ‘good bye’ is ‘zai jian’ while in Cantonese sounds like ‘Joi gin’. In colloquial usage the languages differ greatly, to ask ‘Please give me that book' in Mandarin you might say ‘Qing gei wo nei ben shu’ while in Cantonese it might be ‘Mmh goi, bei bo ben sui bei ngoh la’ the measure word for books ‘ben’ is the only sound in common. And here are some common characters that you might hear in basic conversation. 不 bù buh no; not The Cantonese specific form ‘mm’ is more frequently used colloquially. 北 běi buck north From common root in Ancient Chinese 'bek'. Because the written script is the same as in Mandarin, all the rules for writing Mandarin apply equally to Cantonese. So there are no strange rules for plurals and genders as there are in other languages. There are some characters specific to Cantonese and some differences in meaning in the written form when used colloquially. A full guide to Cantonese is beyond our remit; we hope this section has given you a rough idea of the language. Except for this section we use Mandarin (pinyin) spelling throughout. To learn more Cantonese please try these web sites Cantonese Sheik ➚; Learn Cantonese ➚ or this one Learn Cantonese ➚. Citation information for this page : Chinasage, 'The Cantonese form of the Chinese language', last updated 22 Nov 2016, Web, http://www.chinasage.info/langcantonese.htm.